While waiting for their haircut appointment, customers at Burnside Barber can read Albert Camus’ The Myth Of Sisyphus or VP Gnanarama’s Essentials of Buddhism. If those are a bit on the heavy side, there are local and foreign fashion and lifestyle magazines, too. Instead of a cashier’s counter, there is a coffee stand where a barista can take orders and whip up an Americano or a cappuccino. Customers can enjoy their drinks in the lounge area, where there is a couch and comfortable armchairs. The place exudes a generally homey feel, and guests might be tempted to hang out and chat with the barbers long after the actual haircut is done. 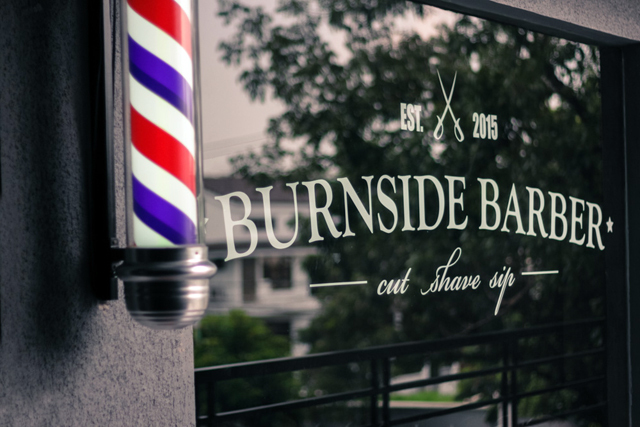 This is exactly what Nico Lumauig and his business partners Choi Kapunan, Kenneth Ong, Gil Pe Aguirre and Denzil Li wanted when they envisioned Burnside Barber. 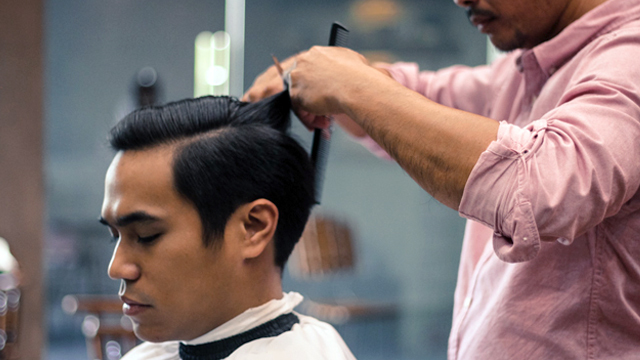 It took a while for Lumauig, a 27-year-old graduate of Ateneo De Manila University, to say yes when his friends pitched the idea of opening a barbershop, but he soon came around when he realized the growing number of men who wanted more out of their regular haircut routine. Opened in February this year, Burnside Barber is the latest in a line of premium barbershops that have taken the relatively banal experience of getting a haircut to a whole new level. These barbershops understand that more and more men are investing more time for grooming and physical self-improvement. 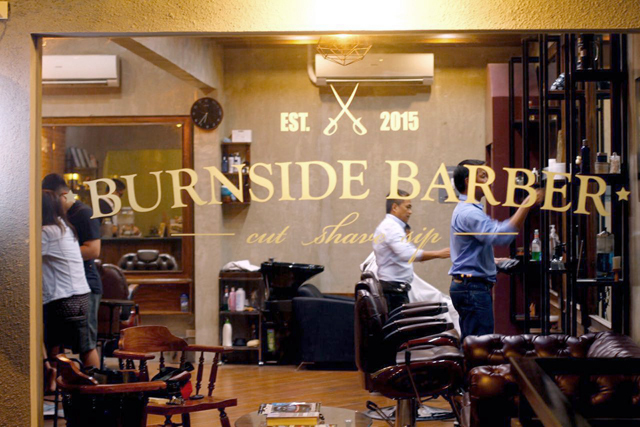 Unlike other barbershops that are located either in malls or in the middle of business districts, Burnside Barber is in the second floor of a commercial space along Katipunan Avenue in White Plains, Quezon City. Most of their early patrons were people who lived in the neighboring gated villages, and for a time, they almost weren’t enough to sustain the business. Burnside Barber compensated by offering discounts and promos to make sure their early customers came back and told their friends about it. They also invested on equipment and manpower, with custom-built chairs upholstered in genuine leather and barbers who have a combined 100 years of experience. 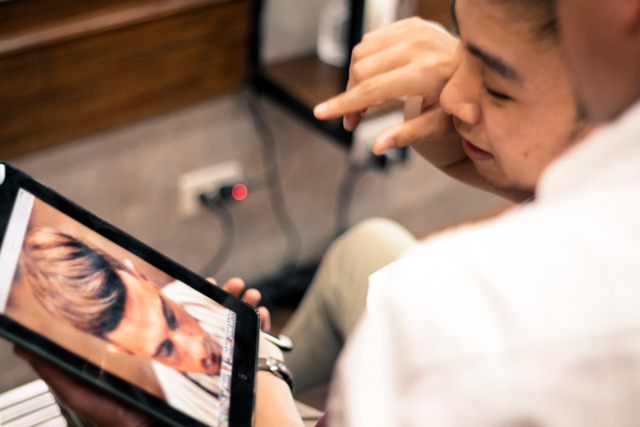 Customers can also freely use iPads with complimentary wi-fi while getting their haircut. 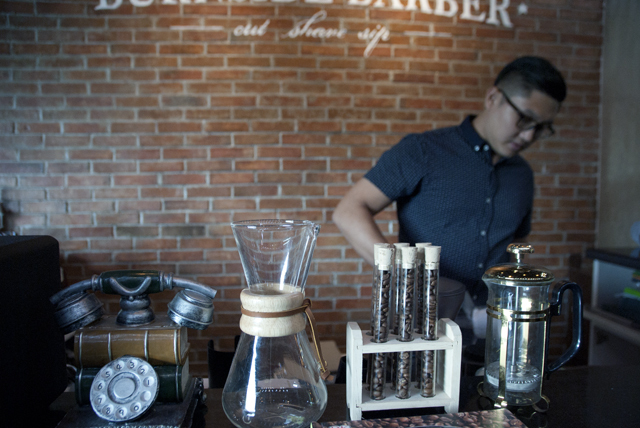 And of course, there’s the café concept, curated by 2015 Philippines Aeropress champion Kaye Ong of Habitual Coffee. For now, they want to keep the small, neighborhood barbershop vibe of Burnside, but keep their options open to expansion opportunites. They even have plans of launching a wedding and events package where they can offer their services for the groom and his groomsmen before the big day.